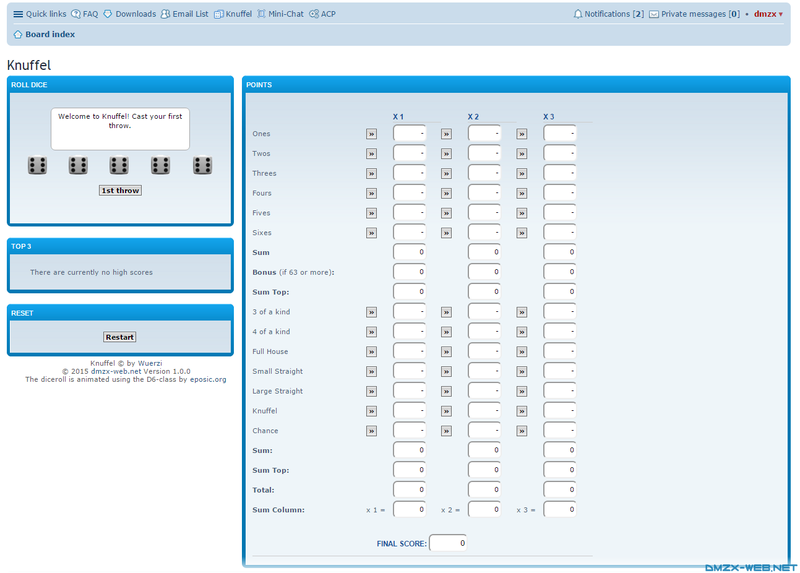 With this extension you can add a Knuffel game to your forum Knuffel (Kniffel-Clone, also known as Yahtzee or dicepoker) is a dice game, where it's your aim to roll certain figures and reach a maximum score out of them. Unzip the downloaded release, and change the name of the folder to `knuffel`. Look for `Knuffel` under the Disabled Extensions list, and click its `Enable` link.